An offshoot of the increased prevalence of overweight and obese individuals is the proliferation, in shops and on the internet, of weight loss supplements with varying claims of effectiveness. 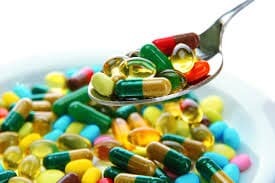 While conventional drugs undergo rigorous testing before being granted marketing approvals, weight loss supplements are not subjected to such examinations because they are classified as “food”. Consumers usually buy such supplements because of a desire to lose weight, as a quick fix, without the demands of dietary modification and physical activity. They are also “hoodwinked” into thinking that “natural” implies “safe”, and the supplements are also easily accessible. Because of the sheer number of slimming pills being sold over-the-counter and on the internet health professionals are uncertain of the therapeutic value of these so-called “fat busters”. Having conducted extensive systematic reviews evaluating the evidence for effectiveness and safety of most of the commonly marketed supplements over the past four years (this includes green tea, green coffee, chromium, Phaseolus vulgaris, African mango, garcinia extracts, guarana extracts, Ephedra, Citrus aurantium, calcium, conjugated linoleic acid, caffeine, glucomannan and pyruvate, guar gum) Food supplements for body weight reduction: a systematic review of systematic reviews; Pyruvate supplementation for weight loss: a systematic review and meta-analysis of randomised controlled trials; The effiicacy of Phaseolus vulgaris as a weight loss supplement: a systematic review and meta-analysis of randomised controlled trials, our findings show that none of them has been proven to reduce body weight effectively and safely. I have been inundated with emails and phone calls by manufacturers and promoters of some of these supplements, and in the course of our interactions, they have failed to discredit the results of these reviews. The advertised claims of effectiveness for these supplements are often exaggerated, and their patronage and consumption a waste of resources. So, next time you are wondering if supplements work, the only real way is to check is by using high levels of evidence, namely a systematic review of randomized trials.